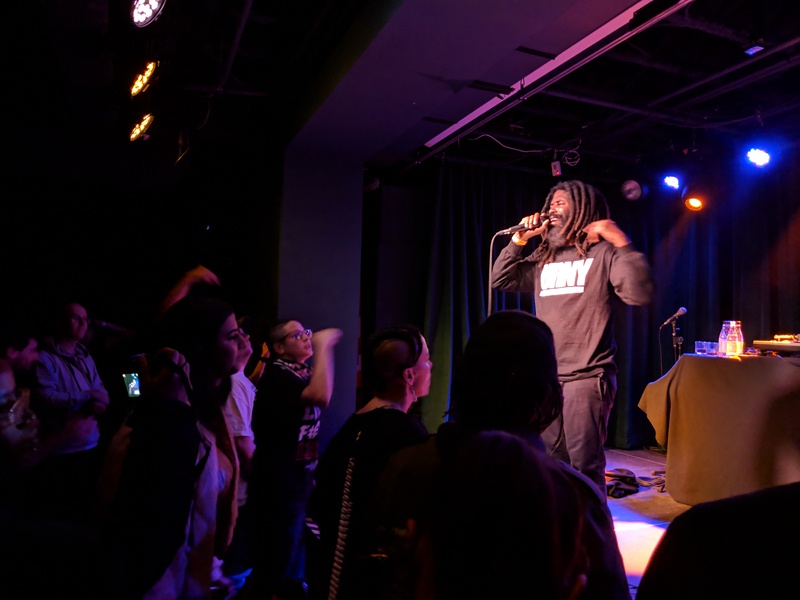 To kick off the final month of 2018, Toronto Hip-Hop heads were in for a treat with a rare performance north of the border by underground legend Murs. Having a lengthy career where he’s represented indie labels like Definitive Jux, Rhymesayers Entertainment, Jamla Records, and most recently Strange Music, Murs has been holding it down for the underground for decades. It’s been years since he last performed in Toronto, this time wrapping up a quick one-week, five stop tour across Canada. It’s only right that his first T-Dot performance in years be at the cozy Drake Underground, located underneath The Drake Hotel. The intimate venue perfectly fits the humble personality of the Los Angeles emcee. 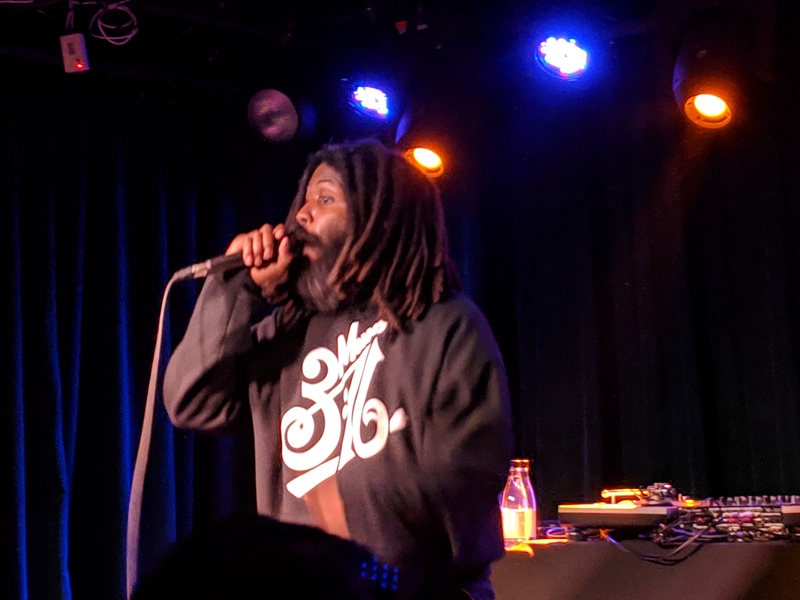 Fans who showed up early to the show could catch Murs himself casually having a drink at the bar among everyone else. He’d chop it up with the fans and take photos – my personal meet & greet involved us talking about Canadian Hip-Hop and new albums, to which he revealed he doesn’t listen to any new music while he’s working on his own albums. Yes, that’s a hint that a new Murs album is in the works, despite him recently releasing his third album on Strange Music, A Strange Journey Into The Unimaginable. Murs would join the fans in the crowd as the show got started with his opening acts, all from Toronto. DJ Fresh Kils would set it off with a quick routine on his MPC, and would bring out Ice Tha One to spit some raps. The room was still slowly filling up as Ice Tha One performed, but she got everyone vibing well to her tracks, jumping down from the stage to rap among the crowd. She rocked a solid 20-minute set, performing songs off her album In The Paint, and soon enough it was time for Murs. After sweating it out for an hour on stage, Murs came down to the floor and spent extra time taking pics and signing autographs with the fans. He could be found by the bar chopping it up with fans and artists alike – Canada’s own Shad made an appearance to meet Murs (we’ll be seeing him perform in a couple weeks). Making sure every fan left having a great experience, Murs proved to be one of the most humble artists you can find. Everyone was all smiles during the performance, as Murs took us through every era in his multi-decade career and performed all the favourites we’ve waited years to see live on stage. He connected with the crowd and got everyone to follow along to the stories in his songs. Here’s hoping we don’t have to wait another 5+ years to see Murs return to Toronto.